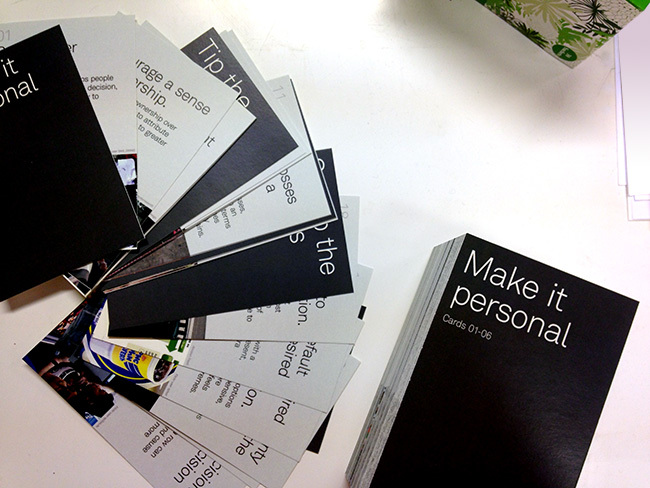 The cards help designers be more mindful of how our work influences behavior. In the design world, the term “persuasive design,” tends to be met with a mix of intrigue, skepticism, and occasionally repugnance (doesn’t persuasion imply that we’re forcing people to do things they typically wouldn’t want to do?). And yes, it’s true that persuasive design, like many tools, can be used for good or for evil. 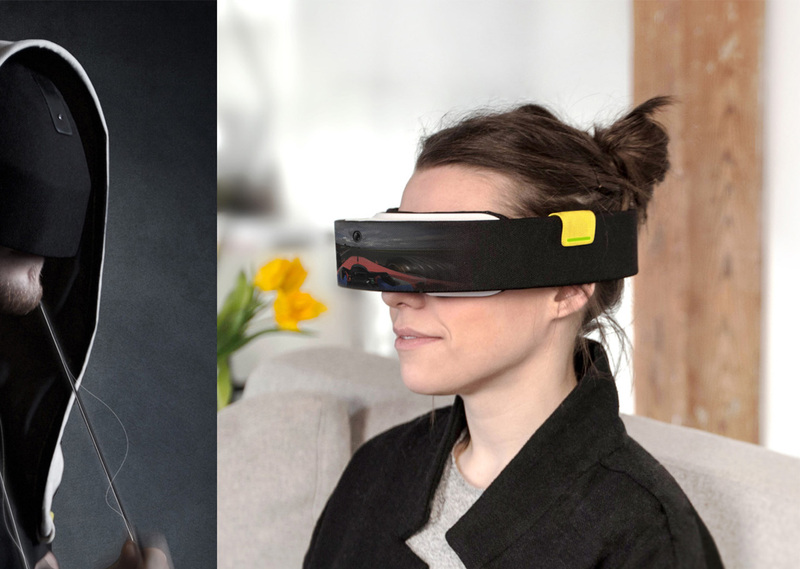 But the reality is, regardless of whether we label a piece of work as “persuasive design” or not, most of the things we design – from toothbrushes to tablets to road signs – are influencing people’s decisions and behaviors in some way. We may not intend it to happen, and we may not be aware of it, but it’s happening. Think about what you ate for breakfast this morning. You might be aware of some of the obvious things that influenced your choice: maybe out of habit you eat the same thing every day, or you picked your meal for convenience, or maybe a recent medical concern drove you toward a healthier option. But what about less obvious factors that could’ve influenced your choice, like the size and color of the dish you ate off of, or the news story on the TV in the background? All of the decisions we make each day are influenced by a wide variety of factors – some we’re aware of, but most we’re not. For years, marketers, behavioral economists, and psychologists have been studying how and why people make decisions, and why we sometimes stray into the territory of “irrational” behavior, or behavior that’s not in our own best interests. As designers, we can take advantage of findings from fields like behavioral economics and cognitive psychology, and become more mindful about exactly how we’re influencing people through our designs. Insights from these fields can help us better understand why people behave the way they do, design more effective products and services that positively influence behavior, and make more informed predictions about how our designs will ultimately impact people when we let them loose in the real world. The challenge is that many great insights from these fields are buried in academic papers and conference proceedings, making it difficult to incorporate them into our creative process (particularly when client deadlines are looming). Enter Artefact’s “Behavior Change Strategy Cards.” This set of 23 cards was crafted to help designers, researchers, and anyone facing a behavior change challenge, think through strategies to nudge people toward positive behavioral outcomes. They work particularly well when you have in mind a specific behavior that you want to change (e.g., “We want to get more people to ride the bus,” or, “We want people to stop smoking”). We focused on making these strategies easy to grasp, incorporate, and act on. The set is divided into five thematic sections, each featuring strategies and examples that will help you understand why the strategies are effective, and prompt you to think through how they might be used. These cards should be considered a starting point, to help you think through strategies and brainstorm new ideas you may not have previously considered. Keep in mind that any given strategy, on its own, is unlikely to be a silver bullet. And while some of these strategies may work in the short-term, they don’t necessarily guarantee long-term success. At the end of the day, the only way to make sure that what you’re designing has the outcome you desire is to test it with real people. 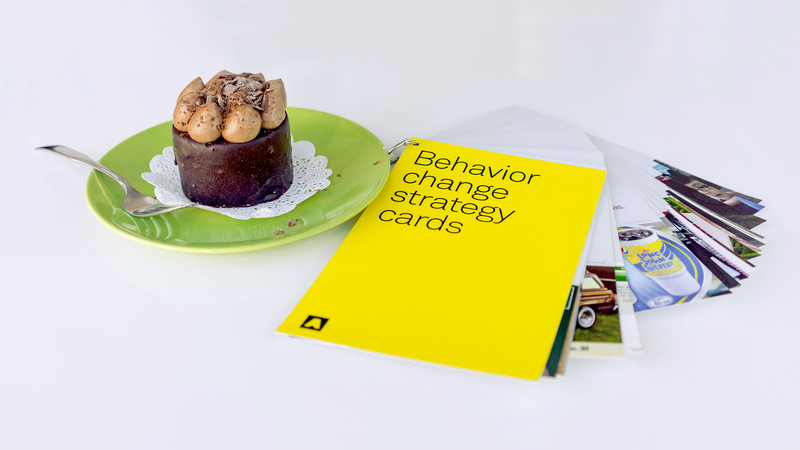 The Behavior Change Strategy Cards are an attempt to help us be more mindful of the ways in which we’re already influencing behavior through our designs, and a tool to help us nudge people toward positive behavior change more effectively. Moving forward, we’re excited to explore how different strategies can be combined, how applications vary in different domains, and how individual and personality differences impact which strategies are most effective for specific users. In the meantime, we’d love to hear about your experiences using the card deck in your own work – let us know how it goes! We’d like to thank the Brains, Behavior & Design Group for the creation of the initial toolkit that inspired the ongoing evolution of this set of cards. Please check your downloads for the Behavior Change Strategy Cards. Thank you!